In 2016, there were over 2,600 registered dentists in Alberta. How in the world are you ever supposed to find the right one? Having thousands of dentists to choose from is a great opportunity. With so many options, chances are you can find a great dentist nearby. But the downside is that the search can be overwhelming. One helpful way to start is by deciding if you need family dentistry or cosmetic dentistry. Often, patients aren’t sure which to visit. After all, many dental problems are both cosmetic and medical. To get you started, we’ve built a quick guide to the difference between family dentistry and cosmetic dentistry. A family dentist is the same thing as a general dentist. These doctors focus on the health of your teeth. The major focus of a family dentist is preventative care and minor repairs. 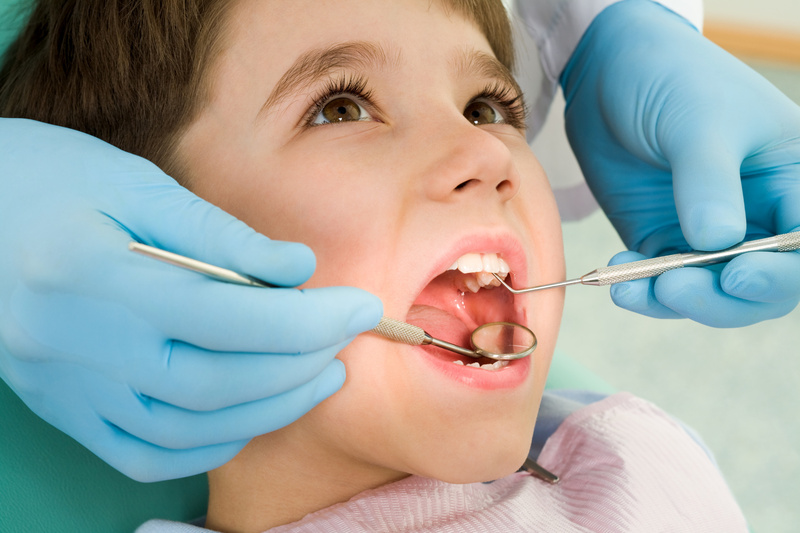 A family dentist is your go-to doctor for your regular teeth cleanings and exams. A general dentist looks for tooth decay, cracked teeth, gum disease, and other problems. For minor repairs, like a cavity filling, a family dentist will treat the problem. In a typical family dentistry appointment, a dental hygienist will begin with cleaning. Professional teeth cleaning removes plaque that normal brushing and flossing won’t. When the teeth are clean, the dentist will do an exam. This includes looking for decay and gum disease. In some cases, they may take x-rays. A bridge is a repair for a missing tooth. The bridge looks like a set of three teeth. The two “teeth” on the ends are hollow. They are placed on the existing teeth around the missing tooth. The middle tooth is solid, and it replaces the missing one. A crown repairs a tooth that is cracked, chipped, or badly damaged. It can be porcelain or other materials. The crown encases a broken tooth, protecting its appearance and health. Inlays and onlays are like partial crowns. Inlays repair the indented areas of teeth, while onlays repair the peaks and tips of teeth. A dental implant, like a bridge, fills in for a missing tooth. But instead of using other teeth for support, it is implanted into the gums. For patients who only need to adjust the layout of their teeth, braces are a great fit. They can use a variety of materials to slowly move the teeth into a better-looking shape. A veneer is an outer “tooth” that goes over your natural tooth. It is popular for patients who want to change the size, shape, and whiteness of their teeth. A filling is a restorative treatment for a decaying tooth. Older fillings were made of metal. But for a more cosmetically pleasing look, composite fillings look like natural teeth. Using a specialized topical formula, teeth whitening does as its name promises. There are also options that use a laser for fast results. In this case, which type of dentist do you visit? It’s simple: look for a dentist with strong experience in the procedure you need. Make sure their results are good for both health and appearance. A dentist with experience in family dentistry and cosmetic dentistry can provide both. It’s important to recognize what to look for in your dentist search. Few patients realize that family dentists and cosmetic dentists need the same credentials. All dentists in Alberta need to be registered with the Alberta Dental Association and College. There is not a separate speciality for cosmetic dentistry. A cosmetic dentist is just a family dentist who chooses to focus on cosmetic procedures. In other words, family dentists are trained in cosmetic procedures too. The difference is that cosmetic dentists may have more experience in them. Some practices, like Dentrix Dental Care, offer both family dentistry and cosmetic dentistry. A five-year-old has different dental needs than a 95-year-old. Whether you need a dentist for you or your family, find someone with the right type of experience. Before-and-after photos are helpful for both cosmetic and family dentistry. Even for minor repairs, you want your teeth to look their best. Many dentists have photos on their websites. But make sure to ask for the before and after photos they have in the office, too. Some patients only consent to their photos being shown in the office. This lets you see more pictures and get a better idea of their typical results. Other patients will be happy to tell you if they’re satisfied with their dental work. Try to call patients who had procedures done several years ago, too. This tells you whether the dentist’s work stands the test of time. If you have your eye on a specific procedure, find a dentist who is highly experienced in that treatment. A cosmetic dentist who has practised for 20 years may sound great. But if you want a dental implant and they’ve only done the procedure three times, they’re not the best choice. There are family dentists and cosmetic dentists alike who will try to “sell” you procedures you don’t need. If you aren’t sure, it’s worth your time to get a second opinion. Once you’ve done your research, we’re happy to help you with the next step: a new patient appointment. This gives you an opportunity to meet the dentist and find out what they recommend. To get started, schedule a dentist appointment online today.